A city filled with history and culture, Hanoi is not only the Vietnamese capital but a destination that is certainly well worth exploring. Whether you happen to have just a few hours to explore or are set to enjoy the luxury of an extended stay, you’ll find so many incredible ways to discover this popular city. 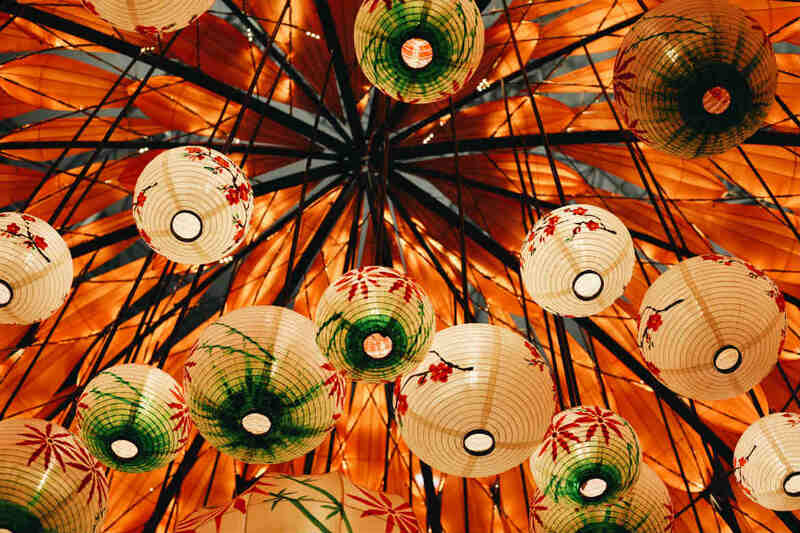 Before you head to Vietnam, check out our picks of the top things to do in Hanoi and learn more about some of the top attractions scattered across the city. 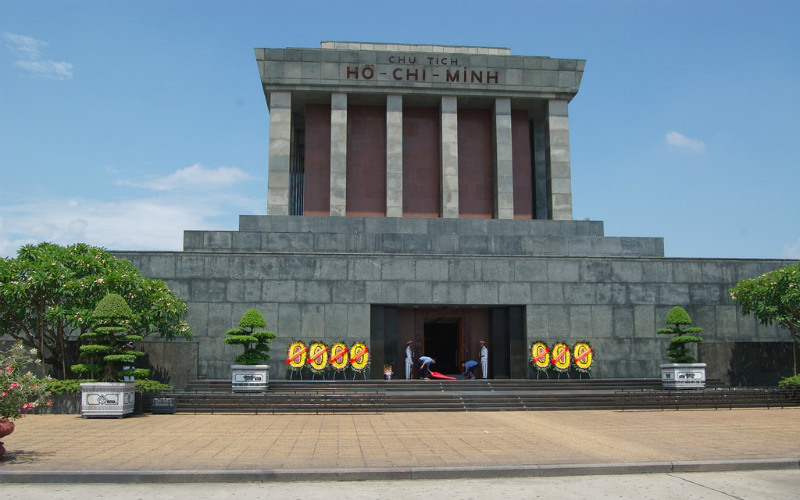 The final resting place of Ho Chi Minh, one of Vietnam’s most iconic leaders, the Ho Chi Minh Mausoleum is an imposing marble structure set in the heart of Hanoi. Although Ho Chi Minh had requested a humble cremation, it was decided following his death in 1969 that his remains would be preserved and kept within a glass sarcophagus in much the same style as Lenin, Stalin and Mao. Today, visitors are welcome to pay their respects to the former leader affectionately known as ‘Uncle Ho’ with a visit to the grand mausoleum, but are required to dress modestly, adhere to strict security protocols and avoid taking photos within the building. Ho Chi Minh Mausoleum, Hanoi, Vietnam. Image Credit: Gregor Dodson / CC by SA 2.0. 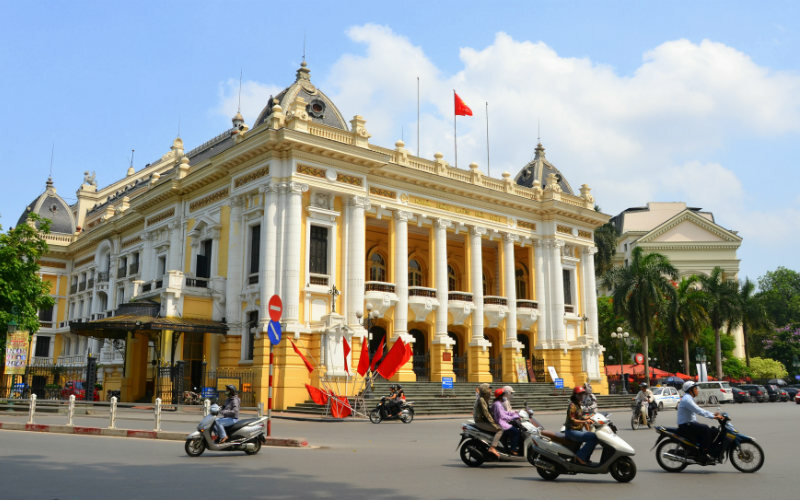 The largest theatre in Vietnam, the Hanoi Opera House has stood proudly in Hanoi since the start of the 20th century. Constructed in a distinctly French neo-classical style, the opera house initially welcomed western-style performances to the delight of the local French population, but now plays hosts to all manner of performances, from ballet and live theatre through to classical music and opera. Tickets to performances at the opera house are reasonably priced, so it is well worth seeing if there any performances set to take place during your visit. Hanoi Opera House, Hanoi, Vietnam. Image Credit: Prashant Ram / CC by ND 2.0. 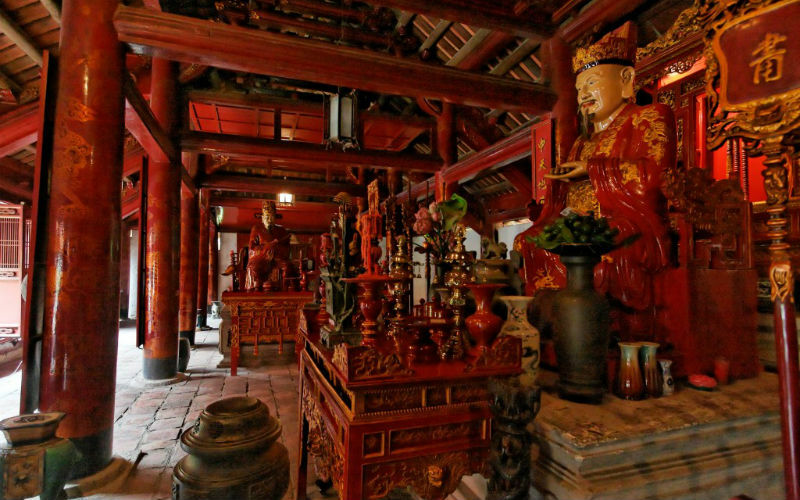 Dedicated to Confucius, Hanoi’s Temple of Literature is perhaps best known for its traditional Vietnamese architecture and as the home of Vietnam’s first national university, the Imperial Academy. Built in 1070, the complex is comprised of ornate pavilions, courtyards, landscaped gardens and beautiful altars that continue to attract students looking to receive good grades in their studies. A great introduction to a fascinating part of the city’s rich culture and history, the temple grounds are the perfect setting for an afternoon stroll on a warm, sunny day. Temple of Literature, Hanoi, Vietnam. Image Credit: Daniel Vaulot / CC by SA 2.5. 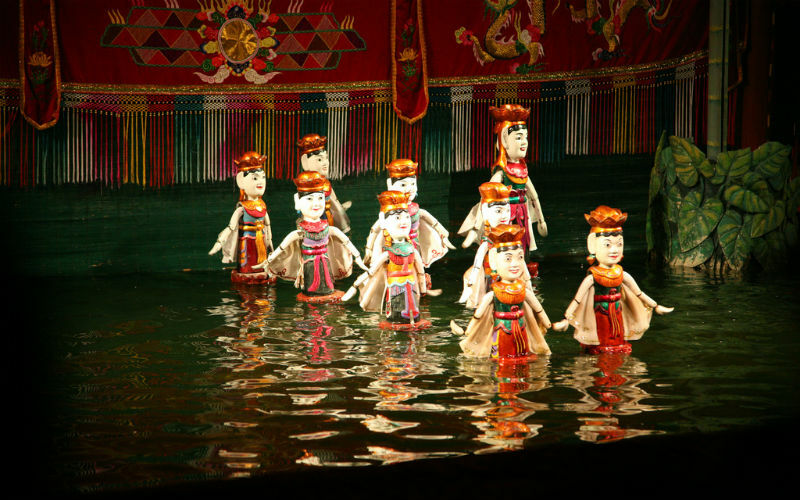 An artform that emerged from rice farming villages in Northern Vietnam, traditional Vietnamese water puppet theatre shows have come to be known and loved across the globe. While visiting Hanoi, the Thang Long Water Puppet Theatre is the place to head to get your fix of the intriguing performance art. As you sit back and relax in your seat, you’ll watch on as skilled puppeteers standing behind screens in waist-high water operate puppets and tell a variety of traditional tales. Accompanied by folk music, the show is a unique experience that is perfect for getting to know more about the legends and stories popular across the region. Thang Long Water Puppet Theatre, Hanoi, Vietnam. Image Credit: kkinjo / CC by 2.0. 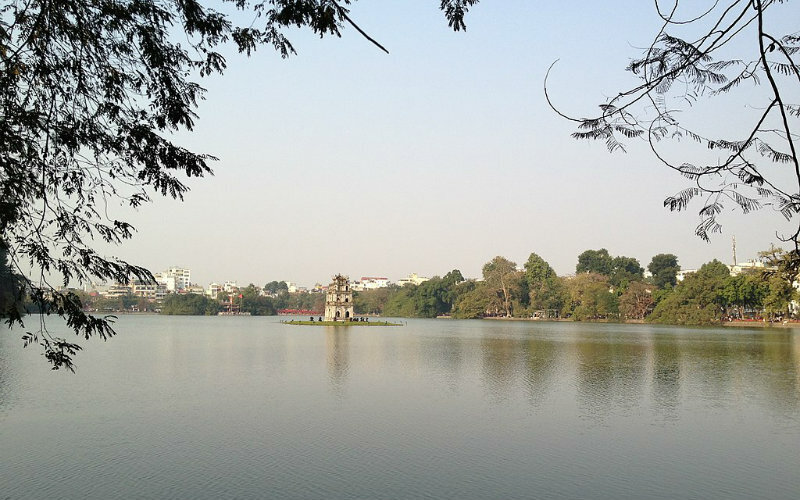 A slice of tranquility just moments from central Hanoi, Hoàn Kiếm Lake is a great spot to simply stop and admire your surroundings. Lined with established trees, the lake offers the perfect setting for an afternoon stroll, a morning tai chi session or for a few hours exploring what makes this part of the city, which happens to be surrounded by local legends and superstition, so unique. Admire the beauty of Ngoc Son Temple (Temple of the Jade Mountain) and keep an eye out for the lake’s resident giant turtles, which are considered to be sacred creatures. Hoàn Kiếm Lake, Hanoi, Vietnam. Image Credit: Phan Minh Tuấn / CC by SA 4.0. Dating back centuries, Hanoi’s Old Quarter is a vibrant and historic part of the city that is well worth adding to any travel itinerary. 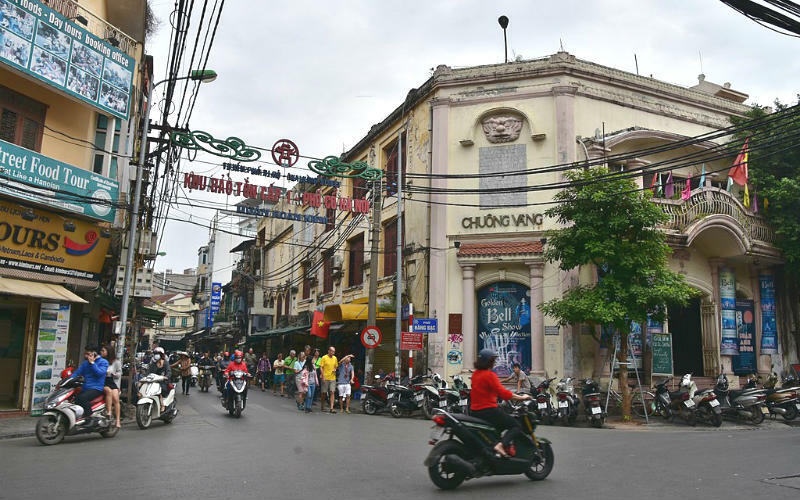 A maze of streets that are filled with colonial-era buildings, temples and other structures dating back hundreds of years that once housed local merchants, the Old Quarter draws together elements of historic Hanoi and its modern incarnation to deliver an experience quite unlike any other. Once housing a wide array of different industries, each street in the quarter has its own character and look, making it easy to spend a day exploring what makes each so different. Old Quarter, Hanoi, Vietnam. Image Credit: Richard Mortel / CC by 2.0. Built at the tailend of the 19th century, the Hỏa Lò Prison, also known as the ‘Hanoi Hilton’, holds a long and, at times, difficult past that spans from French colonial times and the Vietnam War through to the demolition of most of the complex’s buildings in the mid 1990s. Initially built as a place to house, torture and execute Vietnamese revolutionaries, only a small portion of the prison remains and has been converted into a museum that recounts the events and uses of the prison grounds. 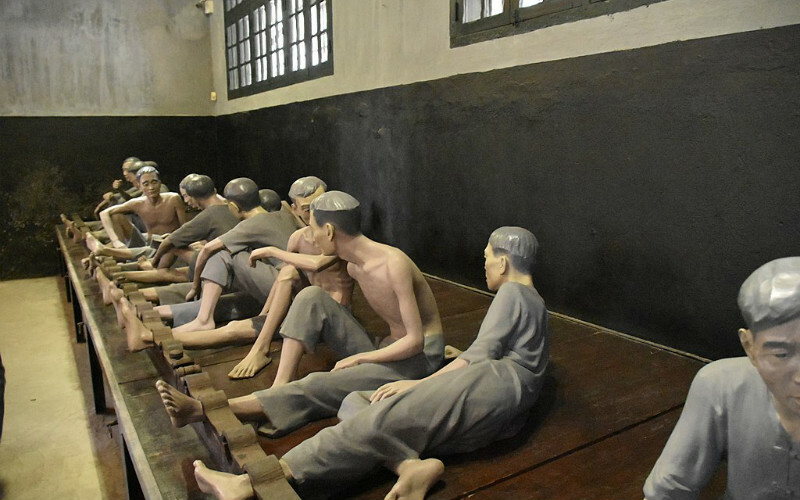 Through confronting and thought-provoking exhibits and remarkable artefacts, the prison history is explored, providing an interesting insight into one of the Hanoi’s darker periods in history. Hỏa Lò Prison Museum, Hanoi, Vietnam. Image Credit: Richard Mortel / CC by 2.0. Ready to explore Hanoi? Secure your place on a great value Vietnam tour from Webjet Exclusives today!